Avoid all types of cosmetic make ups: This is one of the major ways to treat blackheads. You should stay away from cosmetic make ups, particularly, if you have sensitive skin as this skin type always reacts faster to the use of any type of chemical based make ups. You should also stop applying heavy creams to your face, as this block the skin pores that result to the formation of blackheads. Follow a good skin cleansing and moisturizing regimen: This will do wonders to your skin, and you should use any good soap-free cleanser to clean your skin as these cleaners do not dry the skin. Exfoliate once or twice in a week. This will help removing dead skins along with black heads that are stuck up in your skin pores. You can also use oil-free moisturizers to rejuvenate the skin. Adopt a healthy life style: You should lead a healthy lifestyle. Do not skip sleep and proper breakfasts, lunches, and dinners. 6 to 8 hours of sleep at night is highly recommended and if you can follow it with a pleasant and refreshing morning work outs, it will really yield good results. Try to take non-oily breakfast packed with and cereals and fresh fruits. Increase intake of Fluids: Remember to rehydrate and detoxify your body. Daily intake of at least 7 to 8 glasses of water is highly desirable. Fresh fruit juices have no alternatives in providing a great skin. A very useful fluid to resist and treat blackheads is to drink a glass of lukewarm water with fresh lemon juice in the morning, particularly in empty stomach. Do not prick on your black heads: This will just lead to wound around the affected areas. This may also cause infection as finger nails mostly contain lots of germs. Finally, if you find the condition is becoming worse or is not improving, just consult a good dermatologist. Black heads in itself does not cause much of a problem they just appear untidy and gives the skin a worn out look. Now since teenage is highly impressionable stage of one’s life and young crowd is particularly very sensitive to people’s perception and how society views them. The peer pressure is too much and any young person tries hard to fit in. Any eruption on the face, which looks unattractive, can shatter the confidence of a young person. 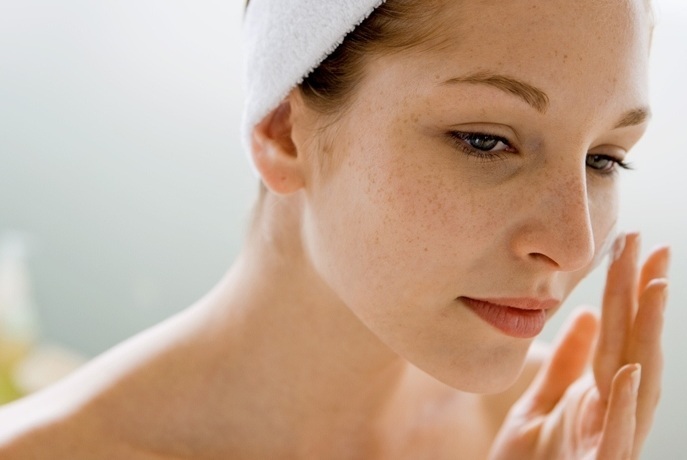 So, you can find some ways to know How to Get Rid of Blackheads. A good skin is always in great demand millions of dollars are spend all across the world by consumers in order to get the perfect skin. Few people are born with naturally good skin, which is very appealing and makes the person look immensely charming and attractive. Healthy skins are the one which have no or very few blemishes and shows no open pore when looked at closely. The open pores can lead to other associated skin problems such as clogged pores, which can aggravate into white heads and black heads. If the pores continues to remain blocked for prolong period of time because of black heads; it might turn into full fledged pimples. So, get rid of blackheads and remain tension free.